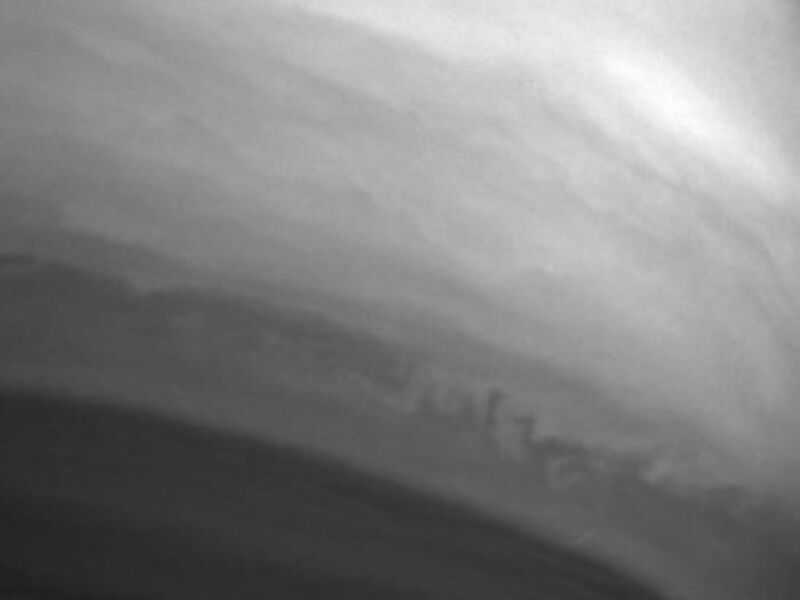 This close-up of Saturn's atmosphere shows turbulent activity on the ragged edge of the equatorial cloud band. 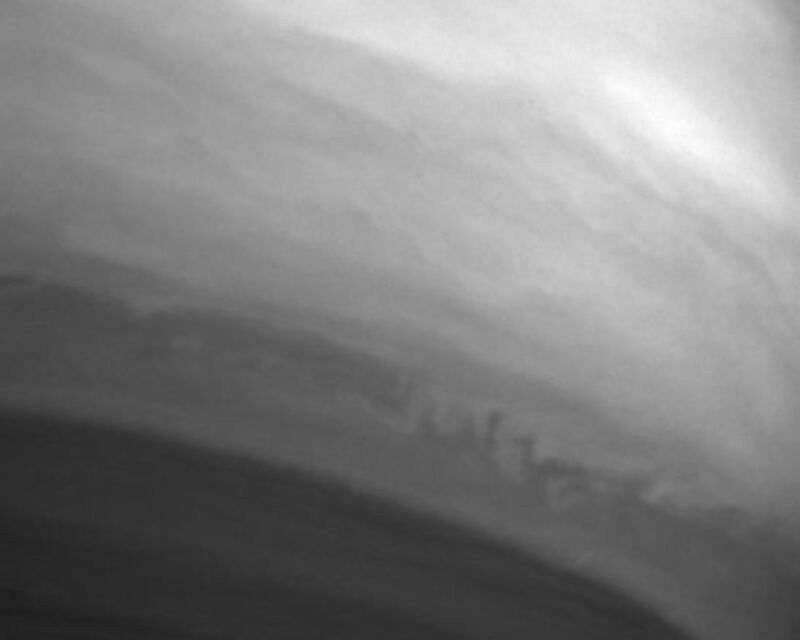 The turbulence is a direct result of internal heat from the planet and absorbed sunlight, and is generally lower in Saturn's bland atmosphere than in the atmospheres of Jupiter and Earth. 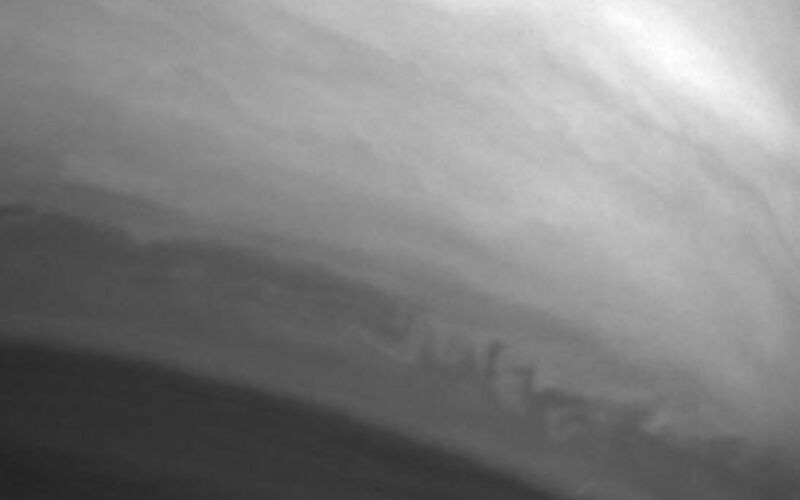 The lower level of turbulence on Saturn may account for its higher wind speeds, compared to Jupiter and Earth. The image was taken with the Cassini spacecraft narrow angle camera on Sept. 25, 2004, at a distance of 7.7 million kilometers (4.8 million miles) from Saturn through a filter sensitive to wavelengths of infrared light centered at 889 nanometers. 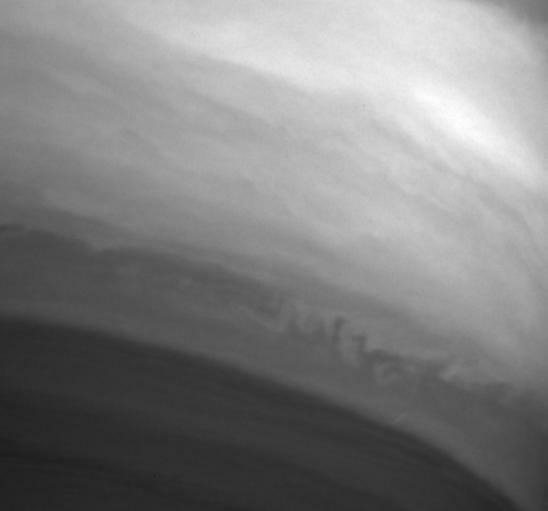 The image scale is 92 kilometers (57 miles) per pixel.